Do you sometimes wish you could do more to make the world a better place? You can. The Create a Better World (CBW) team creates opportunities for people like you who want to build community and make a difference in the lives of others. By guiding and supporting people to take action in the world, we are channels of God’s Love, Grace and Power as we help transform ideas into reality through mindful service. Through CBW, we have contributed to projects and organizations such as St Francis House, local Food Banks, Rebuilding Together, Habitat for Humanity, and the Low Income Housing Institute (LIHI)—to name a few. If you are searching for a way to volunteer your time and energy, we can match you to your specific interest or help you organize and lead your own effort. Contact Cathy Lindsay. Serving others is one of our core principles at CSL. 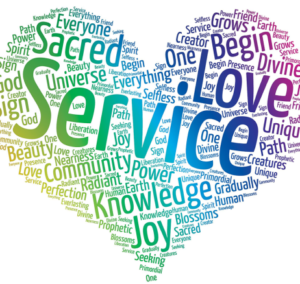 In fact, we believe that service is a spiritual practice. It not only lets you share your gifts and talents, but it also gives you a way to make a difference in the world. Not sure how to proceed in serving others? We will connect you with a team that includes staff and volunteers who work together in the spirit of service. Throughout our community and our programs, you can find many ways to lend a hand to ensure that our center and community operate efficiently and effectively. From very visible leadership roles to a more quiet, behind-the-scenes tasks, you’ll find volunteer service opportunities that allow you to meet others, deepen your connection to the community, and contribute to the greater good. We invite you to find your perfect place in the spiritual practice of sacred volunteer service. 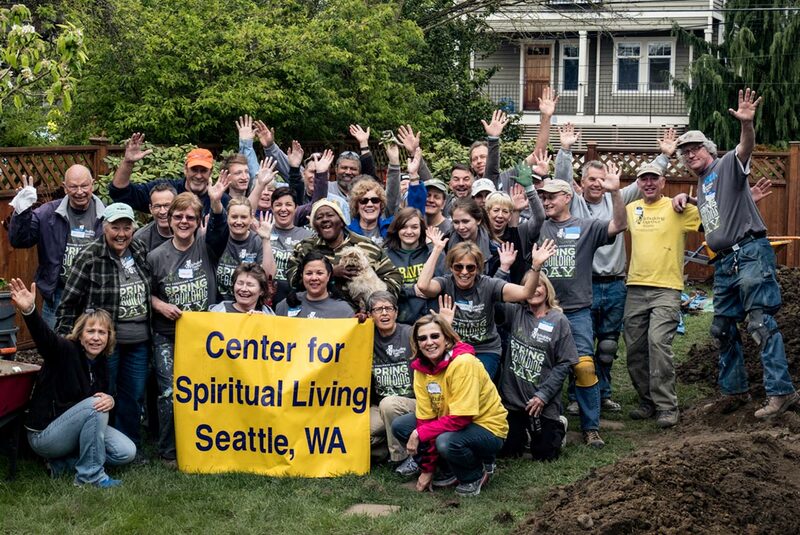 Email us at Volunteer@SpiritualLiving.org or call 206-527-8801. Want to Help Ignite the Light in Youth? 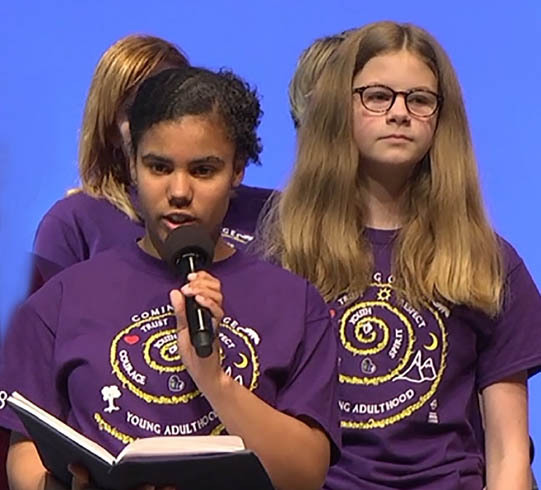 We always welcome new Adult Program Leaders, Teachers, Advisers, Class Helpers, Guest Artists, Childcare Staff, and Licensed Prayer Practitioners to support our Youth Programs. It takes a village to support our children in revealing their inner greatness. Volunteering with Ignite Youth Programs includes training, coaching and prayer support. Apply to serve on the Inspire Team! Begin the process by authorizing a background check and by contacting Janell Shiers, Youth & Family Program Director. We hold your information in strict confidence. We will contact you about additional “Steps to Service”, including online and on-site training opportunities. We offer varied opportunities to support you in developing your leadership, give your gifts, and help inspire our beloved youth. 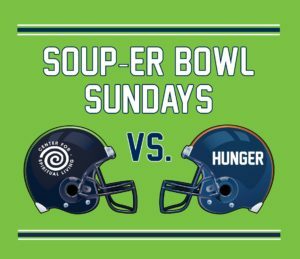 Join in some friendly competition among Centers for Spiritual Living and other faith communities around the country as we team up to BEAT HUNGER! This fun and friendly competition benefits our neighbors in need. Starting in mid-January and ending on Super Bowl Sunday, the competition is designed to see who can collect the most donations of canned soup and stew.